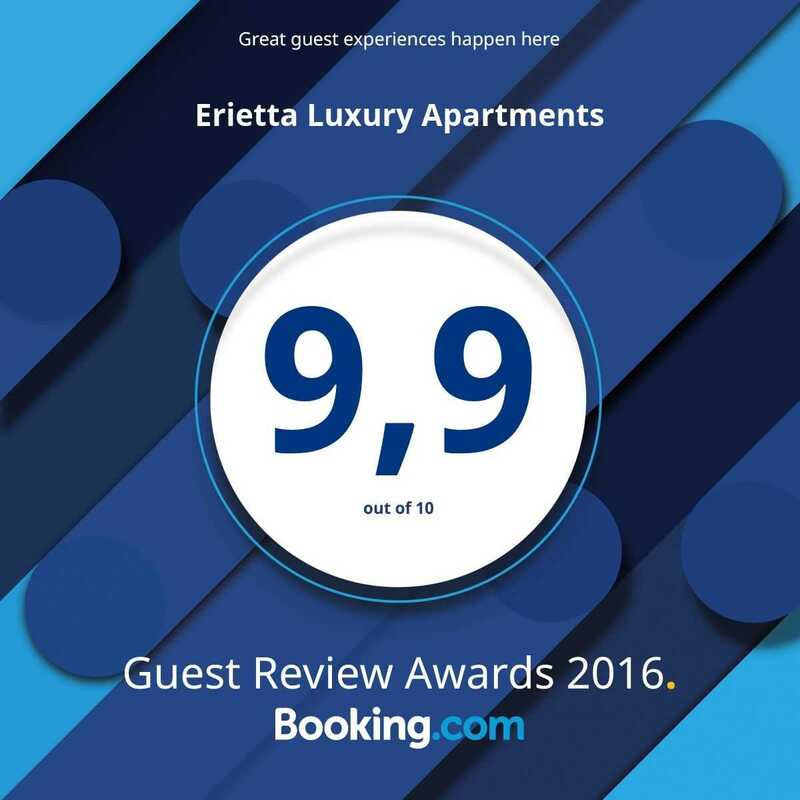 Erietta Luxury Apartments is located in Akrotiri, a quite traditional village near Zakynthos Town and Tsilivi Village. Surrounded by olive groves and above the Ionian sea you get the most authentic feeling of Greek nature! Erietta Luxury Apartments in Zakynthos has a superb location, being situated on Akrotiri, which is 3,5 km away from Zante town and main port. The centre of Tsilivi village is close too - only 1,5 km away. The airport is only 8 km away meaning transfer times are short. Taxi service is available.